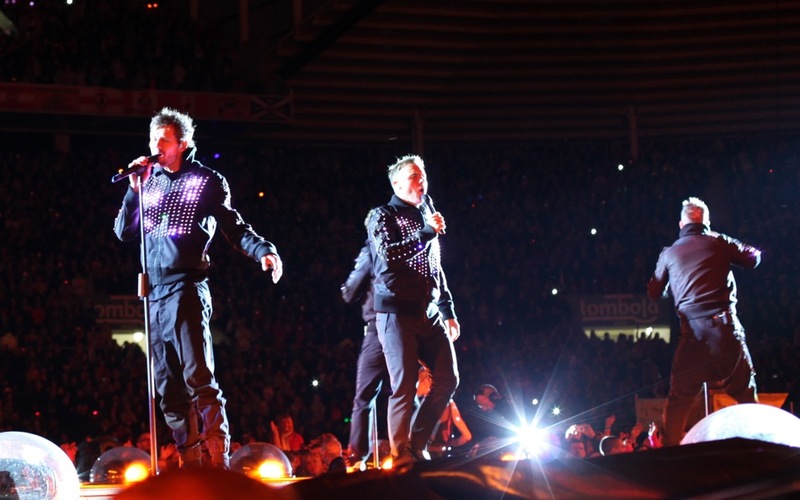 Take That are back on tour to the delight of their fans and just before kicking off in Sunderland they presented a tough challenge to us: make 5 video capable LED stage costumes in record time for the first performance. No sane person would take such a project on, but we do like the odd 72h shift and assembled a dream team of engineers, product designers and fashion specialists and got to work. This turnaround time was only possible thanks to a technology that we have developed for quite some time now: a video capable full colour LED pixel especially designed for wearable applications. 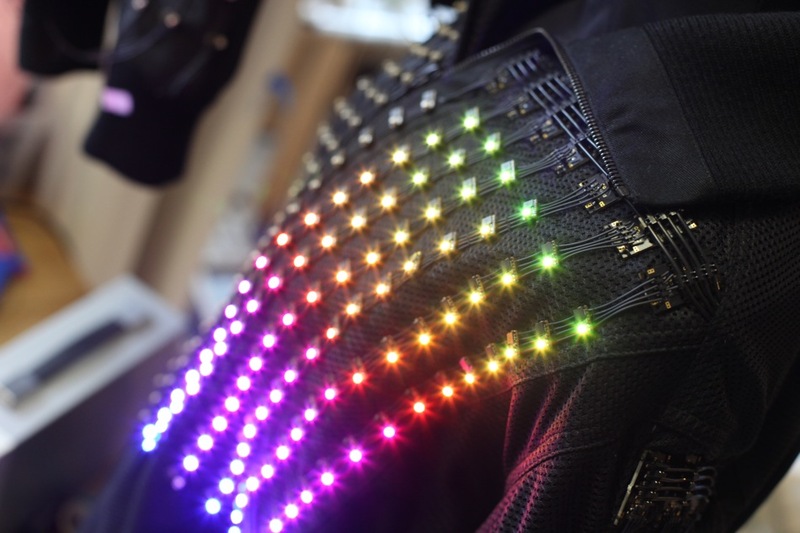 Together with a new miniature video player this is the wearable technology that the electronic fashion community has been waiting for for decades: a durable, practical solution for video fashion that can be applied to any textile surface. 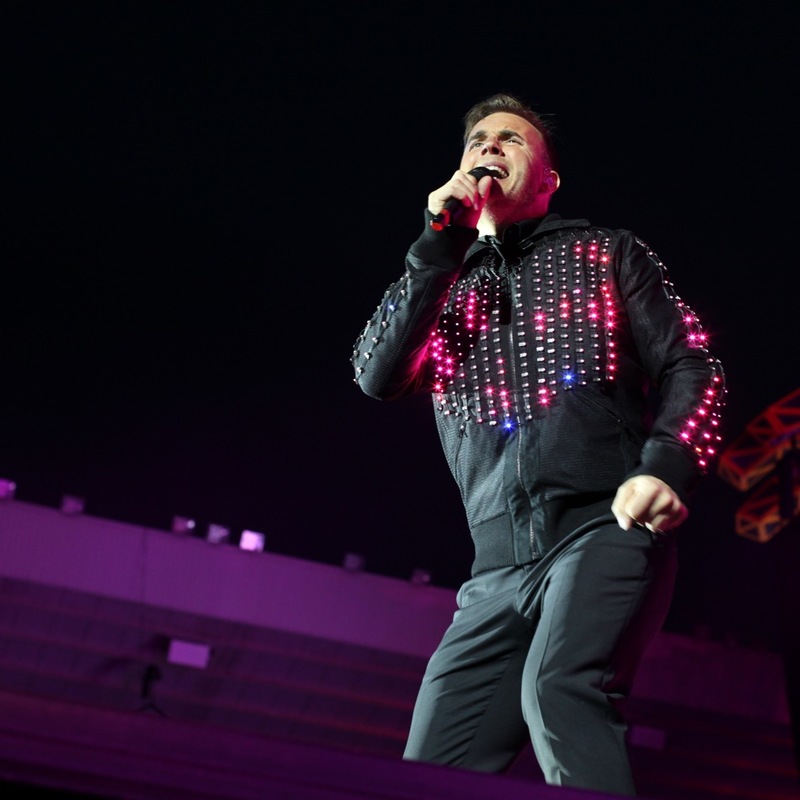 A big thank you goes out to Take That and their team and to James Long, this collaboration was truly delightful and the result is a significant step forward in the history of fashion technology. This entry was posted on Friday, July 1st, 2011 at 11:09 am. It is filed under ALL PROJECTS, FASHION, MUSIC, VIDEO. You can follow any responses to this entry through the RSS 2.0 feed.